Dental practitioners have a key role in the quality of life and prevention of occupational accidents of workers with Obstructive Sleep Apnea Syndrome (OSAS). The aim of this study was to review the impact of OSAS, the Continuous Positive Airway Pressure (CPAP) therapy, and the evidence regarding the use of oral appliances (OA) on the health and safety of workers. Searches were conducted in MEDLINE (PubMed), Lilacs and Sci ELO. Articles published from January 1980 to June 2014 were included. The research retrieved 2188 articles and 99 met the inclusion criteria. An increase in occupational accidents due to reduced vigilance and attention in snorers and patients with OSAS was observed. Such involvements were related to excessive daytime sleepiness and neurocognitive function impairments. The use of OA are less effective when compared with CPAP, but the results related to excessive sleepiness and cognitive performance showed improvements similar to CPAP. Treatments with OA showed greater patient compliance than the CPAP therapy. OSAS is a prevalent disorder among workers, leads to increased risk of occupational accidents, and has a significant impact on the economy. The CPAP therapy reduces the risk of occupational accidents. The OA can improve the work performance; but there is no scientific evidence associating its use with occupational accidents reduction. Future research should focus on determining the cost-effectiveness of OA as well as its influence and efficacy in preventing occupational accidents. Several well-tolerated and effective treatments for OSAS have demonstrated improvements in the quality of life and reduction in the use of health services and vehicle collisions. [12,13,14] Treatments for OSAS can be clinical or surgical, and the clinical treatment options include behavioral measures, and the use of continuous positive airway pressure device (CPAP) or oral appliances (OA). The OA are a noninvasive treatment option for patients with OSAS and it is considered less uncomfortable than CPAP. The American Academy of Sleep Medicine recommends the OA therapy for patients with mild-to-moderate OSAS and those with severe OSAS who cannot tolerate CPAP and refuse surgery procedures. The use of CPAP is indicated as firstline treatment for people with high levels of apnea-hypopnea index (AHI) associated with excessive sleepiness ; however, there are indications that OA improves subjective sleepiness and sleep-disordered breathing. In 2011, a longitudinal study was conducted with patients with mild-to-moderate OSAS who were randomized regarding the treatment for CPAP or OA. The study showed similar improvement from both therapies regarding the AHI and excessive daytime sleepiness; however, the survey sample was not representative. It is worth noticing that changes in the oral appliances design may contribute to different results, once a study comparing devices with different designs showed differences in the improvement of excessive daytime sleepiness. The CPAP treatment significantly reduces the risk of accidents in OSAS patients. [33,34,35,36,37] Treatment with OA, in addition to being effective to normalize the respiratory disorders, improved work performance of patients with OSAS. However, it still lacks a more comprehensive way to assess the benefit of OA on driving simulation and real driving performance. This article aimed to revise the prevalence and impact of OSA on work performance, occupational impairments, use of health services, and its economic impact. The cost-effectiveness and effects of the CPAP therapy and especially the role of OA concerning those issues were also investigated. The National Sleep Foundations (NSF) in the United States assessed the sleep of workers and found that those at risk for OSAS had a greater chance of having difficulty when performing cognitive tasks, including problems with concentration and organization and also a greater risk of falling asleep at work, decreased productivity, and absenteeism due to sleepiness. Snoring was also highly associated with excessive sleepiness and work performance impairments. The sleep-disordered breathing was a common finding among Brazilian professional drivers who presented an OSAS prevalence of 38%. Furthermore, the daytime sleep was fragmented and shorter than nocturnal sleep and more drivers presented extreme sleepiness. It is worth noticing that such deficiencies of sleep can negatively affect performance in driving. Another epidemiological study conducted among Brazilian railroad workers suggested age, body mass index (BMI), and alcohol consumption as associated with an increased risk of developing OSAS and it stressed the need for greater attention to this population, once they are more prone to suffer accidents. In Greece, the prevalence of sleep-disordered breathing among drivers of rail transport was similar to other studies, but the study reported a low prevalence of drowsy drivers (7.1%). However, this data has to be carefully analyzed once it was used a subjective evaluation criterion by Epworth Sleepiness Scale. Among a group of American officers, sleep disorder was identified as an ordinary problem and that it was significantly associated with increased risk of health problems, work performance, and safety outcomes; OSAS was the most prevalent disorder (33.6%). Excessive sleepiness was found in 28.5% of the police officers and there was an increase in the prevalence of physical and mental health disorders, including diabetes, depression, cardiovascular disease, and increased risk of accidents. A study carried out among soldiers identified that 88.2% of the sample were diagnosed with sleep disorders. Insomnia coexisting with OSAS was found in 38.2% of the military and they were significantly more likely to meet criteria for depression compared with control subjects and others with only OSAS. Among young soldiers in Korea, it was found that the prevalence of snoring and high risk of OSAS was 13.5% and 8.1%, respectively. It is worth noticing that this is not a low prevalence considering that the individuals were young and not obese. It was observed that the treatment of OSAS resulted in the reduction of occupational accidents and improved the performance of employees. Therefore, it is advisable to develop strategies for screening effective treatment of OSAS. Nevertheless, it has been difficult to establish the exact effect of untreated OSAS in real driving and traffic accidents. Driving simulators have been used as a cheaper and safer reproducible way to assess the effect of OSAS on different aspects of driving, but despite the benefits provided, the simulator cannot measure all the aspects experienced in a real-life driving situation. In Canada, useful data from a study of driving in “real life” were evaluated. Over a period of three years patients with mild, moderate, and severe OSAS had an increased rate of traffic accidents when compared with drivers without this condition and had higher rates of road traffic accidents associated with personal injury. Worse performances in driving simulators among subjects with untreated OSAS was also identified by other studies. [54,55,56] Nonetheless, after treatment with CPAP, there was an improvement in the driving performance. [36,54,55] It is known that the CPAP therapy improves driving performance and can potentially reduce the risk of accidents, but the benefits provided by CPAP depend on treatment adherence. The results of a study conducted in 2011 suggest persistent impairment in driving simulator during long trips in patients with severe OSAS treated with CPAP. These results support the evidence that some neurobehavioral deficits in patients with severe OSA are not fully reversed by treatment. More controlled studies with larger samples are needed to confirm these findings and further researches should investigate the causes of residual driving simulator impairment among patients with OSAS treated with CPAP and its association with increased risk of vehicular accident on highway. Test driving simulator was also used to investigate whether OSAS patients had worse labor performance than healthy drivers. The benefits provided by OA and CPAP were also analyzed. The results showed a significantly higher number of lapses in attention among OSAS patients. The total number of lapses of attention was significantly decreased after both therapies, with OA and CPAP, with no significant differences between the two types of treatment. However, a more comprehensive way to assess the benefits of OA on driving simulation tests, and real-life driving performance are needed to adequately assess its potential role concerning the risk of drowsiness at the wheel represented by OSA. Another important issue that should be discussed concerning the impairments in occupational performance is related to the international driving licensing legislation. A committee established by the European Commission on sleep apnea and driving has been discussing about directives with an approach to patients with moderate or severe sleep apnea, particularly associated with significant sleepiness. Those patients will be prevented from driving, or at least will be prevented from holding a driver’s license, until the condition is successfully treated. The driving licenses may be issued to applicants or drivers with moderate or severe OSAS who show adequate control of their condition and compliance with appropriate treatment and improvement of sleepiness, if any, confirmed by authorized medical opinion. Applicants or drivers with moderate or severe OSAS under treatment shall be subject to a periodic medical review with a view to establish the level of compliance with the treatment, the continued good vigilance, and evaluate the need for continuing the treatment. Many mental functions are reduced in situations of fatigue and sleepiness. It is estimated that 20% of accidents are caused by drivers’ inattention and sleepiness, and the occurrence of drowsiness when driving is a major risk factor for dangerous accidents. Chronic excessive sleepiness and sleep-disordered breathing were common in a sample of drivers of commercial vehicles in Australia. Sixty percent of drivers had OSAS and 16% had OSAS with excessive daytime sleepiness. Drivers with a high risk for OSAS and a work schedule with little chance of rest reported more daytime sleepiness and poor sleep quality in a study conducted among Belgian truckers and Japanese bus drivers. In Brazil, 16% of professional drivers admitted having fallen asleep at the wheel; however, this number increased to 58% when it was reported by colleagues. It was observed that respiratory disorders and snoring are some causes of fragmentation or reduction of rapid eye movement (REM) sleep, which could support the hypothesis that REM sleep deprivation can lead to common complaints such as mental fatigue, irritability, and sleepiness among professional drivers. In Brazil, due to the high rate of traffic accidents caused by drowsiness, in 2008, a resolution was approved by the National Traffic Department to reduce the number of accidents caused by drowsiness, fatigue, sleep-disordered breathing, and changes in biological rhythms. Evaluation of OSA was included in this resolution as well as the requirement of new medical and psychological examinations for all professional drivers. Sleep-related accidents comprise 16%-23% of all vehicle accidents. Many of these accidents could be prevented by treating sleep-disordered breathing. However, drivers with symptoms of drowsiness or sleep-disordered breathing may not report accidents due to concerns of losing their jobs, compromising the results of studies on the association between these disorders and accidents. A study conducted among long distance truck drivers in the United States found that about 20% of drivers presented symptoms of sleep disorders. Drivers who were working with the same company for over a year were more likely to have daytime fatigue, daytime tiredness, restless sleep, hypertension, and increased BMI. Other studies observed a higher prevalence of OSAS in railway workers than in the general population,[46,47] thus necessitating greater attention to this population, due to the greater propensity for accidents. A research conducted with presumably healthy working men also identified a significant association between the complaint of excessive daytime sleepiness and the incidence of sleep apnea. In Turkey, 241 long-distance drivers were interviewed about symptoms of OSAS, and occupational history. The drivers who had evidence of OSAS underwent polysomnography. Snoring was detected in 56% of all participants and daytime sleepiness was observed in 26.6%. The prevalence of OSAS was 14.1%. There was a significant relationship between the rate of traffic accidents by professionals/year and AHI, lowest saturation, desaturation index, and arousal index. The disease severity was directly proportional to the risk of accidents. Snoring, which is one of the signals present in OSAS, has been associated with increased risk for accidents and morbidity. A study conducted in Hungary found that snoring is common in the adult population. Through interviews, the study showed that especially loud snoring with breathing pauses was strongly associated with health impairment, higher comorbidity, daytime sleepiness, and a higher frequency of accidents. A retrospective evaluation of snoring workers due to suggestive symptoms of OSAS found a significantly higher frequency of occupational accidents among these professionals when compared to the general population of snorers. In this study, all subjects underwent overnight polysomnography in a sleep laboratory and, interestingly, the risk of accidents was high among heavy snorers without apnea and patients with OSAS. A prospective study found that men who reported both snoring and excessive daytime sleepiness were with an increased risk of labor accidents during the 10 years of follow-up. The high risk of traffic accidents among drowsy drivers was mainly determined by the respiratory effort-related arousals (RERA) than by the presence of apneas and hypopneas. The RERAs are secondary to upper airway obstructions during sleep and can occur in the absence of apneas and hypopneas, causing excessive daytime sleepiness. Studies using the esophageal pressure measure were performed in habitually sleepy drivers and drivers without this condition. Sleepy drivers with apnea had higher accident rates in five years than drivers in the control group. Nevertheless, a high rate of RERA, but not sleep apnea, was still a risk factor among drivers habitually sleepy. These findings confirm the importance of identifying RERA in routine examinations in sleep laboratories. Just like it occurs with civilians, excessive sleepiness is a risk to the safety of military that operate dangerous vehicles, machinery, or carry firearms. Military with untreated OSA are also at risk for suffering from decreased mental alertness and decreased cognitive function due to drowsiness. Military with mild-to-moderate OSA and upper airway resistance syndrome (UARS) often have abnormal results in the Maintenance of Wakefulness Test and therefore have a pathological tendency to fall asleep. A study conducted in 2009 among military personnel identified that 32% of the sample had UARS and 68% OSA. The physician must diagnose sleep apnea and evaluate the patient’s risk for injuries. The patient should be informed about the risks and an appropriate treatment should be instituted. In addition, the doctor should provide a follow-up plan to determine if the treatment has decreased the patient’s risk for accidents. Although many investigations have pointed out that treatment of primary snoring and OSAS with CPAP or OA contributes to the reduction of vehicle and labor accidents,[12,33,34,36,76] this review did not find any studies evaluating the effectiveness of OA regarding this outcome. It is important to include the patients in the treatment decision, offering more than one type of therapy for patients with OSA. Despite the residual apneas with the use of OA, or the highest rate of effectiveness of CPAP in reducing AHI, the similarities between the results of such treatments may be related to the hours of use per night. The OA which are considered to have partial efficacy, when used for prolonged hours may lead to similar outcomes when compared with CPAP. The ability to pre-select suitable candidates for either treatment is important. Although some predictors of success with OA have been evaluated, further studies are needed to better predict which patient will have a higher level of success with the OA therapy. Less obese patients with mild sleep apnea and certain craniofacial characteristics such as mandibular retrognathia proved to be good candidates for the OA therapy. When analyzing the economic impact of OSAS, it was highlighted that there was a lack of clarity concerning the epidemiology of accidents in patients correctly treated with CPAP. Furthermore, it was suggested that future studies are needed to evaluate the improvement in the labor activities of OSAS patients before and after treatment, as well as studies evaluating the cost-effectiveness between surgical and clinical treatments. Most studies regarding the adherence to OA use subjective measures to evaluate the therapy compliance. Nevertheless, a study conducted in 2012 objectively evaluated the use of OA among patients undergoing therapy for OSA by means of a heat-sensitive microsensor, which was attached to the OA. The overall mean rate of OA use was 6.7 ± 1.3 h per day with a regular users’ rate of 82%. Despite not having a statistically significant difference between the self-report and the use of microsensor, the safety and feasibility of using this device to objectively measure the OA’s compliance was highlighted. Although, according to a systematic review, many studies have demonstrated the effectiveness of OA in reducing daytime sleepiness and improve the neurocognitive function, the Federal Motor Carrier Safety Administration does not recommend the use of the OA in the treatment of OSAS among professional drivers, once there is no scientific evidence associating the reduction of accidents by using these devices and it is difficult to assess the patients’ treatment adherence. Furthermore, an updated version of the Thoracic Society Clinical Practice Guideline recommended the use of CPAP to reduce accidents, but again the OA were not listed due to lack of scientific evidence about the effects of this therapy on the risk of accidents. The OSAS treatment options may become limited by the conditions of the work environment. The diagnosis of sleep-disordered breathing may affect the deployable strength of the military personnel due to the difficulty they might face concerning the use of CPAP. Military deployed in desert environment are at a risk of inhaling airborne particulate matter that can harm their health. In this condition, the CPAP therapy can facilitate the inhalation of these particles. Therefore, alternatives to solve this problem such as using foam filters have been tested. Obstructive sleep apnea affects the daily lives of millions of people around the world and presents a growing economic impact. The evidence linking OSAS with various public health problems such as obesity, diabetes, depression, cardiovascular disease, and accidents has increased. It is estimated that in the United States, the total costs attributable to sleep apnea-related accidents is quite high. In 2000, 1400 people died due to vehicular collisions and in 2004 these accidents had a cost of $ 15.9 billion. With regard to the management of accidents, it is estimated that the treatment with CPAP for all drivers who suffer from OSAS would be of $ 3.18 billion. Even taking into account a treatment efficiency of only 70%, there would be a reduction of $ 11.1 billion in collision costs and 980 lives would be saved per year. The literature suggests that treating 500 patients for three years would result in savings more than $ 1,000. 000. A more recent analysis of OSAs’ treatment showed significantly lower costs of the treatment plan. In addition, it was also observed fewer disability claims; cost reduction for disability and fewer lost days of work. A prospective study compared the effects of OSAS between men and women during 1994-2005. An increased risk of absenteeism in subjects with sleep apnea was observed. In women, the major risk was present five years before diagnosis, whereas in men the major risk was observed one year before the diagnosis of OSAS. Education campaigns encouraging members of health plans to seek specific treatment for sleep-disordered breathing resulted in substantial savings. Two years after the education campaign started, it was computed savings of U.S. $ 4,900.00. Dentists can play an important role in accident prevention through the detection of risk factors by screening their patients for OSAS, evaluating oral/jaws anatomical features, and screening for sleep disorders during the anamnesis. In 2013 a study comparing the health effects after one month of CPAP and OA therapy identified that despite the CPAP therapy was more effective in reducing the AHI, the therapy with OA had greater adherence, hence both therapies showed similar results. Concerning CPAP therapy, studies in several countries have evaluated its cost-effectiveness[12,95,96] Some patients have to try more than one treatment option before control of OSAS is reached. Treatment should be individualized and supported by scientific evidence, and the evaluation of cost-effectiveness is also required. Information about the therapy cost is important for the governments, transport, industry, and insurance agencies to plan actions to decrease the economic impact of untreated OSAS. Data on types of treatment for snoring and OSAS suggested that therapy with OA had lower costs when compared with other treatment modalities. Nonetheless, it has not been evaluated yet the use of OA associated with reduced risk of vehicle and labor accidents. Further studies should evaluate from a social perspective the loss of work productivity, increased absenteeism, insurance, and costs and assess the use of OA in preventing occupational accidents. The cost-effectiveness of CPAP was compared with the OA therapy and lifestyle advice using a method of quality-adjusted life year (QALY) in a life perspective. On average, CPAP was associated with higher costs than other therapies. However, in another analysis CPAP was more profitable than OA. Therefore, regarding adults who suffer from moderate or severe symptomatic OSA it was concluded that CPAP has better cost-effectiveness when compared with OA and lifestyle advice. The OA are now widely prescribed for the treatment of OSAS, either as a primary or as an alternative measure to those patients unwilling or unable to tolerate CPAP therapy. Although CPAP has been shown to be more effective than OA and highly cost-effective, there are increasing evidences that OA improve drowsiness, blood pressure, and indices of sleep-disordered breathing. Moreover, many patients who respond to both treatments generally prefer to use OA. Despite the limited evidence on the cost-effectiveness of OA, through this literature review it can be observed that OA are economically less attractive than CPAP, but remain as a cost-effective treatment for patients who do not want or do not adhere to treatment with CPAP. Do you want to be the dentist, in your area, to work with NFL greats? The Pro Player Health Alliance http://www.proplayersleep.org works exclusively with members of the American Sleep and Breathing Academy. 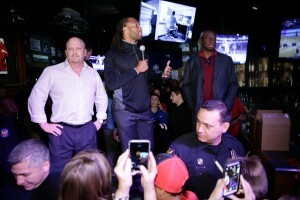 This ensures that the NFL greats will have the highest quality of care. The ASBA members are in a league above the rest. The American Sleep and Breathing Academy offers the highest levels of training. With its monthly study clubs, online webinars, and the world’s largest resource library in sleep medicine, ASBA gives its doctors all the resources they need to become the pillars of sleep practice in their community. 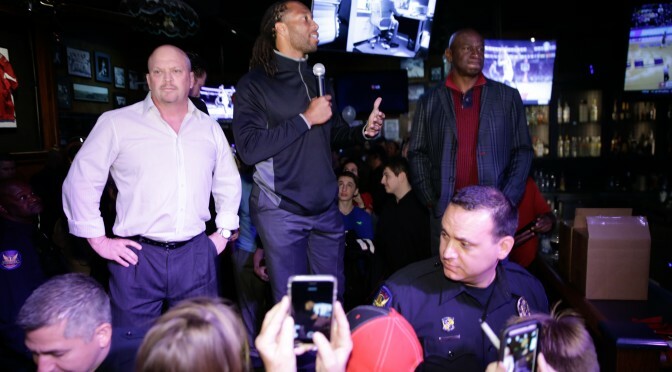 The ASBA’s Executive Director, David Gergen, hand selects the dentists in each market that will participate in NFL screenings of former players. This project has been going on, successfully, for five years and has helped to catapult many practitioners sleep practices. For example, Dr. Harry Sugg in Dallas, TX. Harry was doing only 1-2 sleep cases per month until he joined the American Sleep and Breathing Academy. Dr. Sugg’s now treats Tony Dorsett, Michael Irvin, Eric Dickerson, Derek Kennard, Preston Pearson, Isiah Robertson and many more NFL greats. Sugg’s sleep practice became so busy he had to hire an associate to exclusively manage it. Harry is just one example of the many ASBA doctors who now have a thriving sleep practice as a result of membership in the American Sleep And Breathing Academy. The conference will feature Dr. Rod Willey, the single most successful sleep apnea dentist in the industry. Rod holds the national record for billing 106 cases in a single month. The head of a 3.5 million dollar a year, stand alone, sleep practice, Rod is going to give you a step by step cook book for success. Five years ago Dr. Willey was not doing Dental sleep medicine. He joined the ASBA and received study club training and the rewards are still paying off. By joining the ASBA, you could be the next Rod Willey. Remember, records are made to be broken. Dr. Kent Smith, a dental sleep icon, sees the value in joining the American Sleep and Breathing Academy; an academy that is pro dental sleep medicine and pro oral appliance therapy. Dr. Smith has dedicated more than 20 years of his career to researching, analyzing and developing proven techniques in sleep medicine. He has treated more than 6,000 patients with sleep apnea, and his success is not a coincidence. In addition to being a Diplomate of the American Board of Dental Sleep Medicine, Dr. Smith is going to sit for the ASBA Diplomacy exam on April 18th at 8am. Which, of course, he will pass with flying colors since he is one of the foremost leading authorities on dental sleep medicine. Congressman Marty Russo will be speaking on how oral appliance reimbursement is increasing with the U.S Government while C-PAP reimbursement has been decreased by another 25%. More importantly, he will be discussing what this means for the industry and how dentists will greatly prosper in the coming years. Dr. Kevin Mueller, Sleep and TMD professor out of Midwestern University in Glendale Arizona, will teach you how to restore a sleep case, how to take a proper sleep bite and, through restorative dentistry, eliminate the need for oral appliances. His revolutionary process and successful outcomes have made Kevin one of the top sleep doctors in the world. This is a rare opportunity for you to learn from a true expert in the industry. 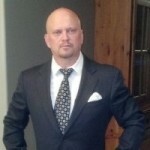 His 30 years of experience, personally trained by Robert Rickets and Ed Spiegel, puts Kevin in a world of his own. For a dentist, it’s an opportunity to bring something to the physicians where they can have residual income and a built in mechanism for oral appliance therapy. The best way to ensure your success in chronic care is to attend the ASBA annual meeting, April 15th and 16th, and become an ASBA member. The ASBA is truly the cream of the crop when it comes to a dental sleep based academy. Our 700+ ASBA members are all being walked thru the process step by step to ensure they are ALL seeing a large number of oral appliance patients per month. How do we ensure this happens? The ASBA has study clubs that meet every other month. This helps to ensure that our members are learning from the most successful sleep dentists in the country. To be a mentor at one of these study clubs, you must have, at least, a 1.5 million dollar per year sleep practice. Having the opportunity to learn from these mentors at these study clubs helps to maximize your success. A Dentist was recently audited by his state board compliance committee for treating a patient with a Herbst sleep apnea appliance. It was reported that this particular patient was not given a diagnostic sleep test prior to receiving treatment. A vindictive ex-staff member of this particular practice, who was the former Sleep Apnea Coordinator, turned the doctor into the state board. In fact the Dentist assumed there had been a home sleep study done and began treatment via the Herbst appliance. In the chart notes, the Dr. had noted sleep bruxism and this particular patient was paying on a cash basis, not using his/her medical insurance. As it turned out, This is yet another case of why the Herbst appliance is a Dr’s. best friend. 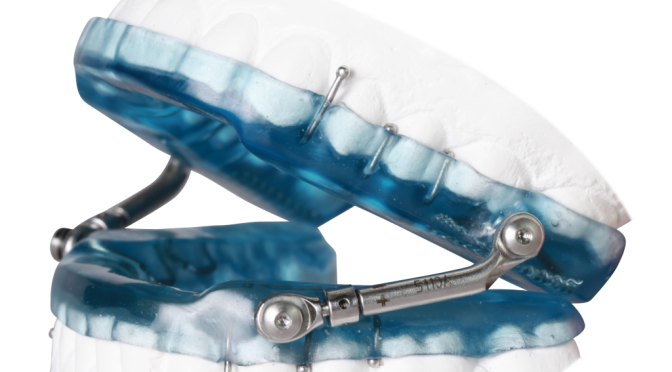 The Herbst appliance has been in used in dentistry since 1909, it can be used to treat bruxism, TMJ, snoring and OSA. If this particular patient had been given a monoblock appliance or OSA mouthpiece whose FDA intended use is exclusively sleep apnea the story would have turned out very differently. The Dr could have been found guilty by the State Board because a monoblock cannot be used to treat nocturnal bruxism and there is no other dental application for the appliance. David Gergen rolled out of bed on September 12, 1981, and had his career “aha” moment. Gergen knew he was going to be an orthodontic technician, and he knew he was going to help people all over the country. Since then, he has built one of America’s most successful dental labs in Phoenix, Arizona, revolutionized the sleep industry through oral appliances and special programs, and was once voted top dental laboratory technician in the country. What is the Expected Roll out for the Remainder of 2013? We got our CE mark and we are beginning our launch in Europe. We received our 510k approval in May. Our game plan now is that we are going to launch in Europe, and then toward the end of summer we’ll be launching in the U.S. By the end of this year, and going into 2014, we plan to be at full scale. The concept of jaw position as a fundamental piece of sports performance is not new. Dr. Harold Gelb introduced this concept in his early work in the 1970s. The culmination of his work in improved performance was the 2000 Baltimore Ravens who triumphed over the New York Giants to win Super Bowl XXXV. Every player on the team wore a custom oral appliance that positioned the jaw in Dr. Gelb’s Jaw position called the Gelb 4/7 position. Since that time, professional sportsmen all over the world have been adopting a daytime mouth guard to protect them from injury and improve their performance. Children undergoing standard orthodontic care have noticed their grades improve, sometimes dramatically. In the past, this would have been attributed to improved self-image or a growth spurt. Today, experts have measured the improved sleep patterns and the increase in airway size that comes from a better jaw position. These patients breathe better at night, and wake up more able to deal with the demands of the day. Dr. Archie Roberts, founder of the NFL HOPE program and retired NFL player, has been one of Gergen’s keynote speakers. Roberts established the much higher incidence of OSA and heart disease in the general population. He asked Gergen to be the sleep apnea director in the program they’re launching at the Mayo Clinic in Scottsdale, Arizona, on August 14, 2013. Carl Eller, Larry Fitzgerald, Warren Moon, Roy Green, Dave Krieg, Isiah Robertson, Eric Dickerson, Mike Haynes, Tony Dorsett, Matt Blair, Chuck Foreman, and Derrek Kennard were all excellent football players, and some have been inducted into the Hall of Fame. They are all sleep apnea patients who are contributing to the field of sleep medicine and sharing their experiences with the general public. The results are more diagnostic tests and, hopefully, reversing the trend of undiagnosed sleep apnea. Mike even asked Gergen recently to make an agility guard for his son to help him with his football performance. He also asked Gergen to have his son looked at for pediatric sleep. 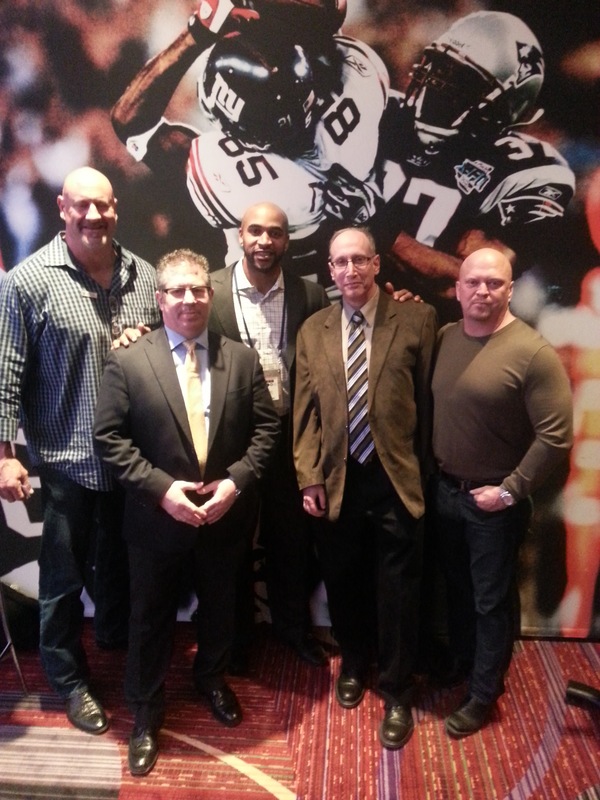 On the horizon is an upcoming Pro Player Health Alliance event in New York, a presentation with Dr. Brad Eli during sleep symposium at the Super Bowl (scheduled for February 2, 2014 in East Rutherford, NJ), and a seminar in Las Vegas with Dr. Brock Rendeau. “Rendeau is one of North America’s most sought after clinicians, and without a doubt one of the most creative speakers on the topic of functional orthodontic treatment,” says Gergen. Gergen will remain at the center of these programs. He will be building teams, asking hard questions, and the sleep industry will be better for it. • Executive Director of the dental wing of the American Sleep and Breathing Academy, a national interdisciplinary academy dedicated to sleep training and education with over 60,000 members. I try not to think about how long I’ve been involved in the dental industry because I’d like to believe I’m not old enough for the numbers to add up that way, but it has been a long, long time. I consider myself very lucky because when I started as an Orthodontic Technician I had the opportunity to work with, and learn from, some of the best in the business; true pioneers in orthodontics. And I again consider myself lucky. Now, almost 30 years after opening my lab, my industry is booming and I’m working with doctors who are pioneers in Dental Sleep Medicine. Throughout my entire career, I have always managed to surround myself with experts and I know that it has really played a major role in my success and helped me become an expert in my own discipline. There’s a famous Bob Dylan quote, “Act the way you’d like to be and soon you’ll be the way you’d like to act.” As I speak with dentists who are just getting into sleep apnea treatment, one of the best pieces of advice I can give them is just that. Find an expert and do what they do, get the education they got, work with the companies they work with. to choosing the right appliance for your patient, I can offer some insight there. It’s a great thing to see so many sleep appliances becoming FDA/Medicare/Insurance approved and it speaks volumes about the future of our industry. I get asked by dentists all the time which appliance is the best one to use. The answer is, you have to use a variety. There is no magic appliance that is perfect for everyone, but the Herbst is probably the best place to start. It’s a tough appliance and it doesn’t have any wings, fins or tabs that are at risk of breaking off. 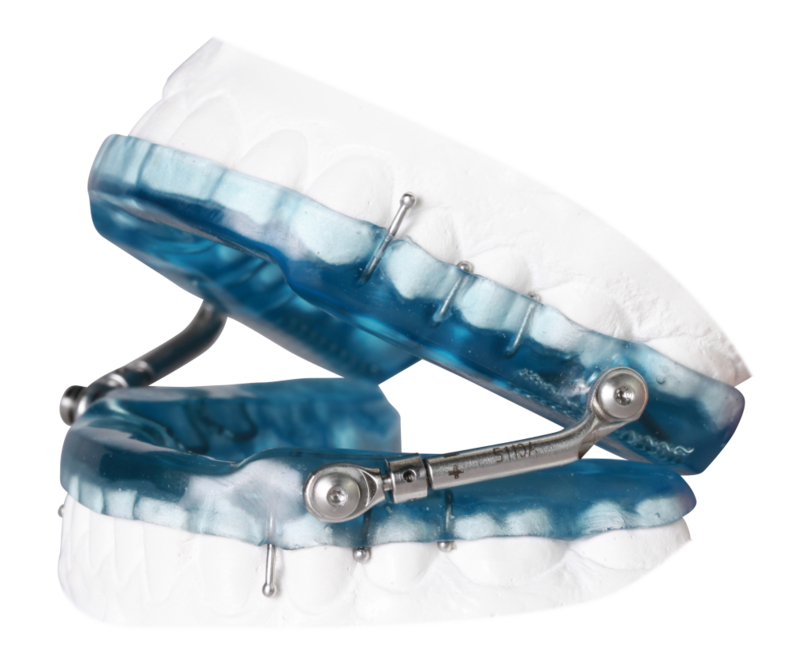 It also allows some lateral movement to minimize TMJ issues, especially in bruxers. See the Herbst and other appliance options on my website www.GergensOrtho.com or call my team at 866-437-4361.